Spa Start-up and Refilling: Note: Please make sure the power is off before filling your spa. Lithium Chlorine Shock: Prior to use add 2 tablespoons of the Lithium Chlorine (a fast-acting/fast-dissipating type of chlorine) to assure new water is clean, clear, and sanitized. It is very important to replace with the same type. Spa Perfect: Add Spa perfect approximately 1 tablespoon per 100 gallons of water, to filter area without running jets. 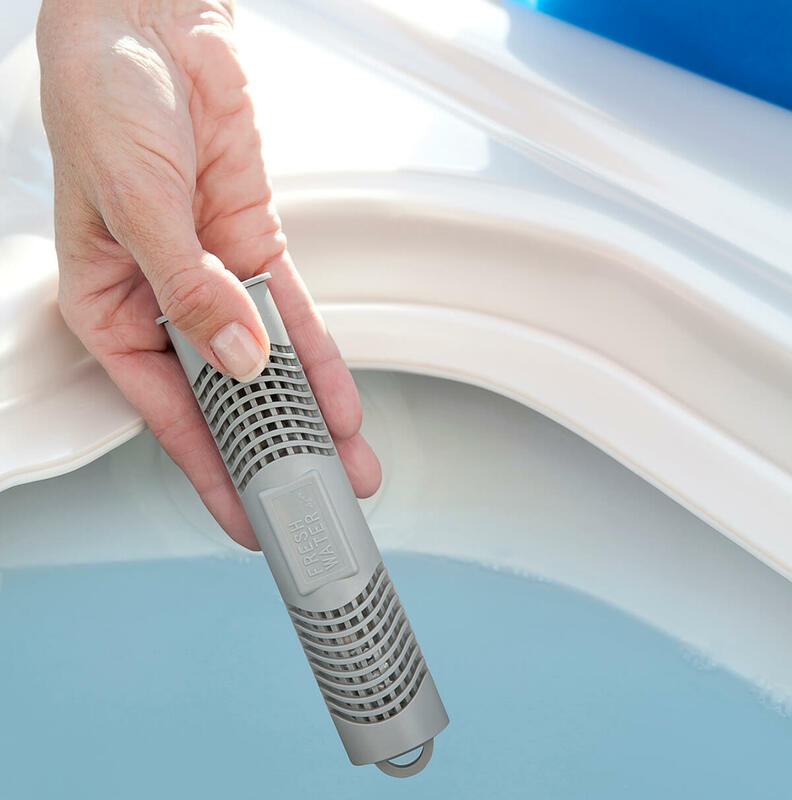 Combined with shocking and pH balancing, this product helps keep the water clear, absorbs odors and removes oils and lotions that commonly create cloudy water. Check your Ozone Check Valve: If you have an ozonator refer to your owner’s manual for proper cleaning of the check valve and injector. Because of hard water deposits they can clog up and reduce flow, thereby reducing the proper levels of ozone coming into the spa. Ozone Maintenance: If you have the Delzone ultraviolet unit; replace ozone bulb cartridge (or call for service). If you have the Freshwater II Corona Discharge unit, please bring it into our store for routine service (or call us for service, 209-545-5224).